Singapore's islands are rich with history and heritage. The pilgrimage to Kusu Island is among the first 50 items identified for UNESCO listing. Where is Kusu Island? What are the stories behind it? And how can you contribute YOUR stories? “Kusu Island” is known in Chinese as 龟屿 (translated as ”Tortoise Island”) and in Malay as ”Pulo Tembakul” (translated as ”Peak Island”). Located in the south west of Singapore, the island is one of more than 60 offshore islands of Singapore. 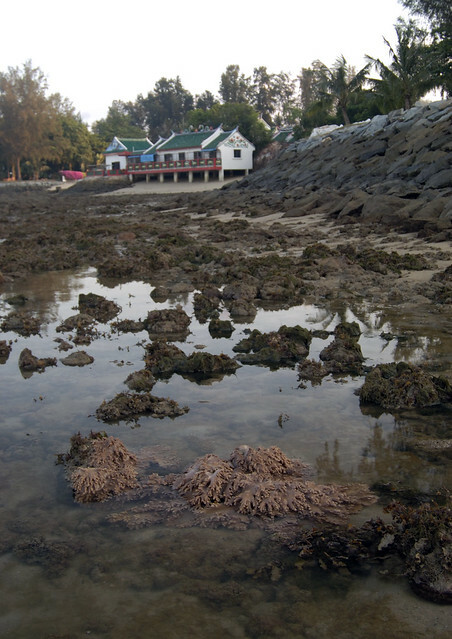 Before land reclamation works were carried out, Kusu Island was originally shaped like a turtle as it was made up of two separate islands that were linked by a strip of sand at low tide. The smaller island represented the head of the turtle, where a Chinese temple is located, and the larger island, where three Malay keramats (shrines) are located, represented the back of the turtle. Every year, thousands of pilgrims will visit the Chinese temple and Malay keramats located on Kusu Island, especially during the ninth month of the Chinese Lunar calendar. There are different legends related to this practice, including one version that tells the tale of how a large turtle saved a group of sailors from drowning by turning itself into an island, during the ninth lunar month. Another version tells of how two holy men, Dato Syed Abdul Rahman (an Arab) and Yam (a Chinese) had meditated and fasted during their pilgrimage to Kusu Island. However, Yam fell ill during the journey and needed food and water. Syed prayed for Yam and a boat appeared with food and water, saving them from their plight. From then on, the two men would visit Kusu Island regularly to give thanks. When they died, they were buried next to each other on the island, and the Chinese temple with Tua Pek Gong (a Chinese deity worshipped for good fortune) and a Malay shrine were built in their memory. 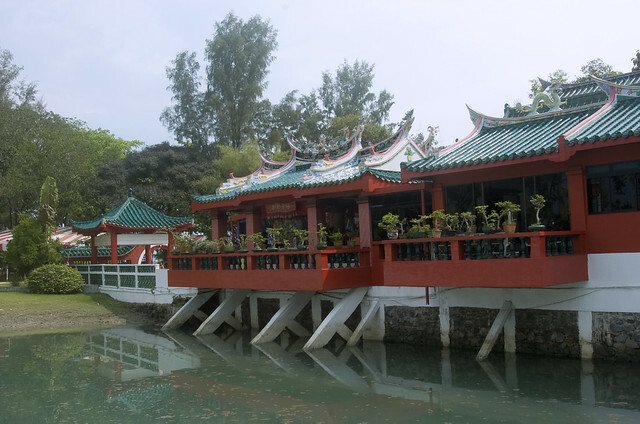 Pilgrims to Kusu Island will first visit the Chinese temple that houses Tua Pek Gong, to pray and make their offerings. After having done so, these pilgrims will then climb a total of 152 steps to visit the Malay keramats. Upon arriving at the Malay keramats, pilgrims will be greeted by the chanting and blessings of the Malay caretakers in a mix of Hokkien and Malay, and the burning of paper money and incense sticks as forms of offerings will be observed. The Chinese pilgrims will also jointly take part in worship at the Malay keramats. The Kusu pilgrimage offers a uniquely Singapore experience of assimilated cultures and religion as devotees from different ethnic communities and religions will visit the island annually and worship at both at the Chinese temple and the Malay keramats. If you would like to contribute additional information on this element, please visit this page. From the Singapore infopedia website of the National Library, in 1900-1930, the temple on Kusu Island was surrounded by water at high tide. Kusu Island is also known as 'Turtle Island'. Some accounts say that the island originally comprised two portions which resembled a sea turtle with a larger part resembling the shell and a smaller portion the turtle's head emerging from the sea. 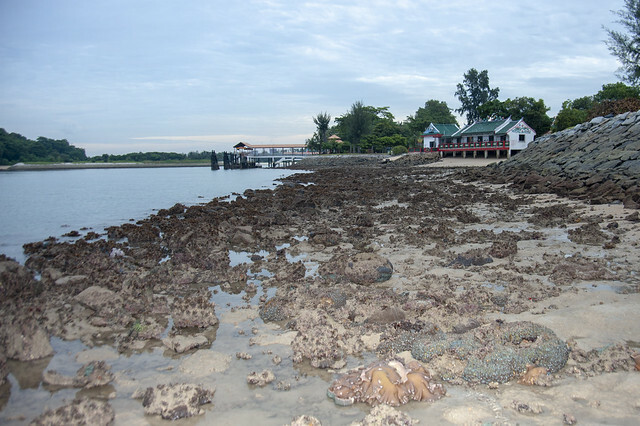 Kusu Island was originally largely made up of living reef. 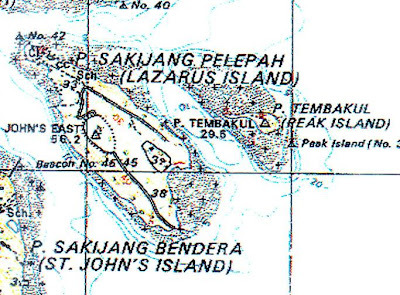 Submerged reefs are indicated by the dotted portions in the map below of P. Tembakul, one of the old names of Kusu Island. How amazing the shores must have been then! 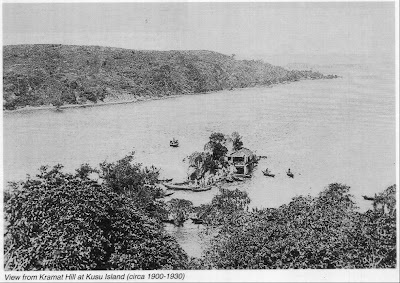 Kusu Island was originally 1.2 ha. In 1975, there was massive reclamation "to join it with another coral outcrop, making a 8.5ha island resort". This is what Kusu Island looks like today, with two swimming lagoons and jetties. 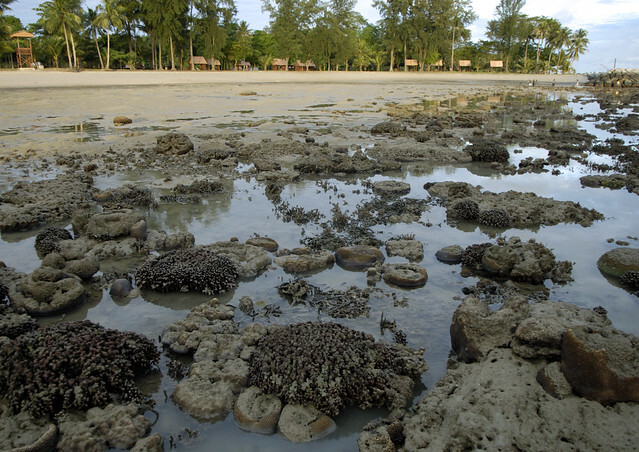 But corals are still found outside the seawalls and even inside the swimming lagoon. Corals growing on the inside of the swimming lagoon. 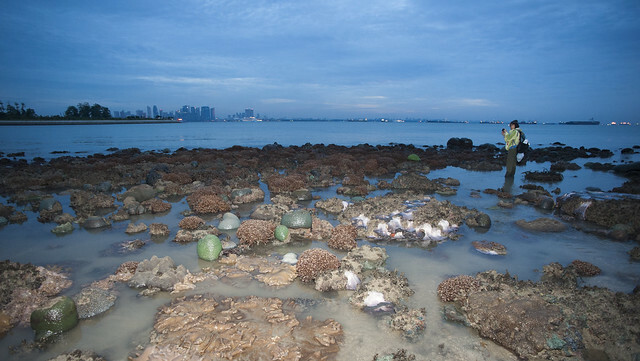 We have lost much reefs at Kusu Island, but there are still rich reefs there! with the central business district on the horizon. 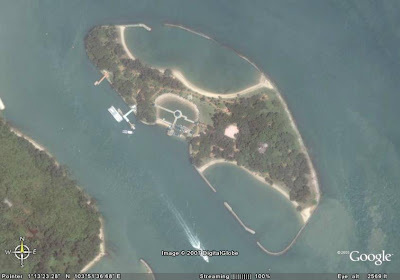 How to visit Kusu Island? Simply take the daily ferry from Marine South Pier by Singapore Island Cruise. More about Kusu Island on wildsingapore: How to visit and what to see and do. Check out Kusu Island on the Long and Winding Road by Jerome Lim, for more stories and awesome photos of the island. Kusu Island on the Long and Winding Road by Jerome Lim: stories and photos of the island. 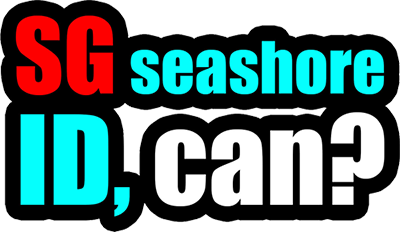 This post first appeared on the wild shores of singapore blog.